Easy Car Booking are Introducing some fabulous new cars for rental this season. We have managed to get ourselves on some really great offers and we can finally share these with you. How about renting a car from us like the new Lamborghini Huricane cab with its dynamic steering, carbon fiber body and the ability to reach a top speed of 320km/h (not that we would advise attempting this). If lamborghini isn’t taking your fancy then why not try one of our ferrari for example the California T or the new 498 ferrari cab. Both of these will have adrenaline running through you as the power and joy in which these cars provide is something from heaven. They look stylish, clean and will provide you with an unforgettable car rental from us. To enjoy the sun, we also have the new class s cab from mercedes which is a convertible that you will love. Whichever you choose you won’t regret it. Check out our facebook page to keep up to date with more deals we may have. The world unveiling of the Mercedes e class was premiered this Sunday the 11th and with its new redesign it is set to bring car technology to a whole different level. It is branded as a luxury car that will make other car dealers jealous with the new advanced interior layout that rivals its competitors like the Audi A6 and the BMW 5 series. It has taken a step towards what the Google car is trying to do in having a self driving car but hasn’t yet jumped to the extremes of having no control what so ever on the vehicle but it is set to make life easier. The e class Mercedes is in all the latest tech news just because of its amazing new features like its active lane-change assist, remote parking pilot and its ability to exchange and communicate information to other surrounding mobile phones and infrastructure like traffic lights. This is just one of the things that makes this car so desirable and sought after especially since we are in the era of new technology. The e-classes aerodynamic shape is beautiful to look at with its slick, stylish and smooth design which makes it almost irresistible to stay away from! 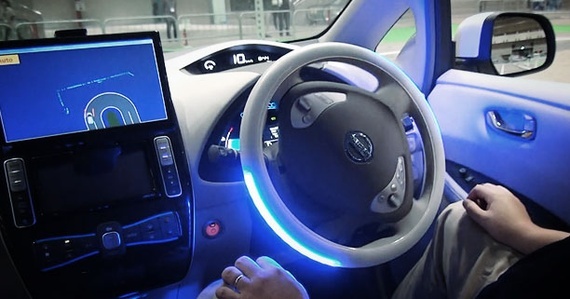 They have thought of everything including safety as they promote the fact that the controls of the car can be present on the steering wheels instead of having to fumble around the car for buttons. It’s also bigger and the rear passengers benefit from more leg room as well as the new seats taking a more modern look. Their aim is to try and drop the average age of the e class from fifty five years by quite a few years in order to try and target the younger generation and create a sense of a more youthful, fresh and trendy car. At EasyCarBooking we believe it is a step in the right direction for Mercedes as, their competing car brands around them move forward with newer and better technology so must they. We believe it will be a huge success in the year 2016 but what do you think? Check out this link to see it in action! Enjoy. 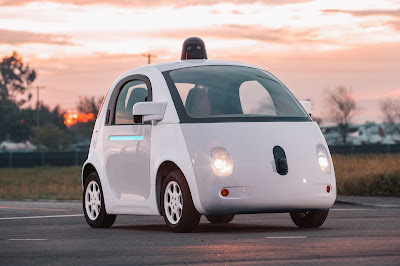 Is the Google car the new way forward or are we taking a step to far? Google’s car: friend or foe? The world around us is rapidly spiraling into a new world of technology and with it comes some interesting developments. As a car rental company we like to keep up with recent trends within the automobile industry and recently it has been Google’s new prototype of its google car which has caught our attention. Can you imagine what it will be like in the future when we no longer have to concentrate on the road or what’s going on around but instead we can sit back and relax and enjoy taking the back seat for once? According to data, 94% of car accidents in the U.S. are caused due to human error, you could only imagine if we took human error out of the equation how these deaths would dramatically decrease and this new prototype may actually save lives. It will make up for lost time that you have spent commuting to work and instead it can be spent talking to your loved ones, your friends or your family. Stress levels are surely to decrease as you don’t have to battle with road rage and people who have disabilities who have been unable to drive themselves will be able to regain their independence. It is an interesting development from Google and we at EasyCarBooking are keeping an eye out to see how it is going to develop into 2016 as we bring in the New Year along the French Rivera and our set to welcome some new car rental deals of our own for the upcoming summer season (like our EasyCarBooking Facebook page for updates on this). We have to ponder to what extent are we going to trust this new technology and if we will ever be able to live in harmony with it or will it destroy the people we are designed to be. That is up to you to decide. Check out what the people thought of their first experience in this car by clicking on this link. Don’t forget about how you can have an experience similar to this as our skippers in EasyBoatBooking can take you along the French Rivera!